Restaurants in Wilmington and our Island Beaches are bursting with local flavors and international inspirations. Foodie travelers love our fresh seafood and Southern offerings and delight in the quantity and quality of the restaurants that comprise our culinary scene. For a unique experience try an off-the-beaten-path hideaway, authentic global café or exotic eatery. Have a signature craft cocktail and relish in the flavors of the coast with a seafood bounty. You don&apos;t have to eat out to enjoy fresh, restaurant-quality seafood. Bring the bounty of the sea home to your vacation rental with ready-to-go meals that serve up the day&apos;s fresh catch. Motts Channel Seafood has been providing fresh fish and shellfish, like black sea bass, red snapper, shrimp, scallops and oysters to visitors to Wrightsville Beach for more than 25 years. Fill up a take-home cooler, and the knowledgeable staff will be happy to help answer your cooking questions before you leave. Create your own low-country boil steam pot at Topsail Steamer in Wrightsville Beach or Cape Fear Boil Company in Carolina Beach. 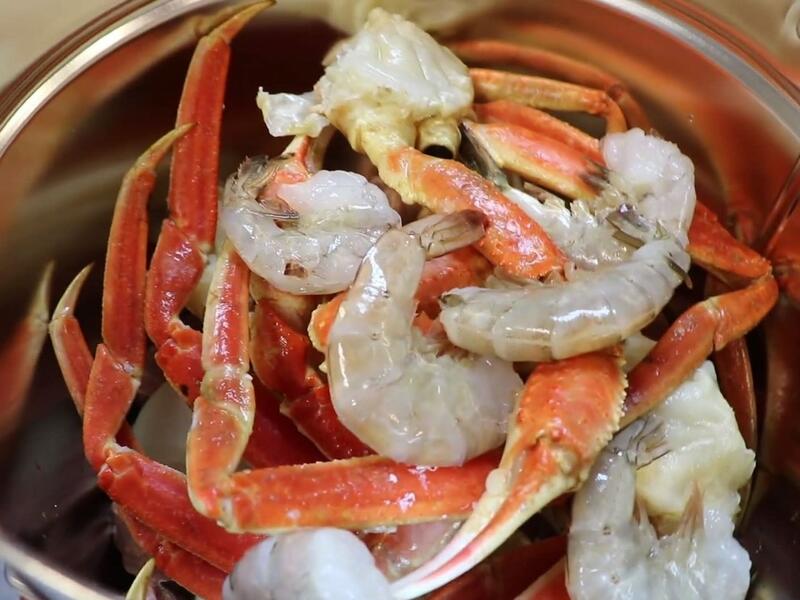 Each pot is filled with fresh seafood of your choice, like peel-and-eat shrimp, crab legs and clams, and comes complete with corn, potatoes and all the spices. Just boil, serve and enjoy—and with only one pot, cleanup is a breeze. Fish Bites Fresh Market on the way to Carolina Beach offers a wide selection of fresh seafood which can be wrapped and packaged to go. Fire up the grill at home for a perfect night in. Wilmington-area bartenders have elevated the mixology game. From well-made classics to unique originals found only in Wilmington and our Island Beaches, refresh with a cool drink after a long day in the sun. In downtown Wilmington, step back into the 1920s at Blind Elephant Speakeasy and pick your poison from their Elixir Board Menu of seven ever-changing cocktails, or enjoy a little bit of night music with an amazing martini at Tails Piano Bar and Lounge. Both of these hot spots require a membership to enter, but it&apos;s easy for anyone to join at the door. Refresh at Whiskey, Tango, Foxtrot, which is known for its mules, boilermakers, dessert martinis and cigars, or enjoy a signature cocktail, such as "The Bee&apos;s Knees" or "Southern Baptist" at The District Kitchen & Cocktails. In Lumina Station near Wrightsville Beach, 1900 Restaurant and Lounge&apos;s talented bartenders serve unique cocktails professionally mixed with ingredients like elderflower liquer, fresh muddled cucumber, pineapple and homemade simple syrups. Twisted Martini Lounge at 22 North serves up top shelf, small-batch spirits with names like "The Intracoastal" and "Southern Belle." 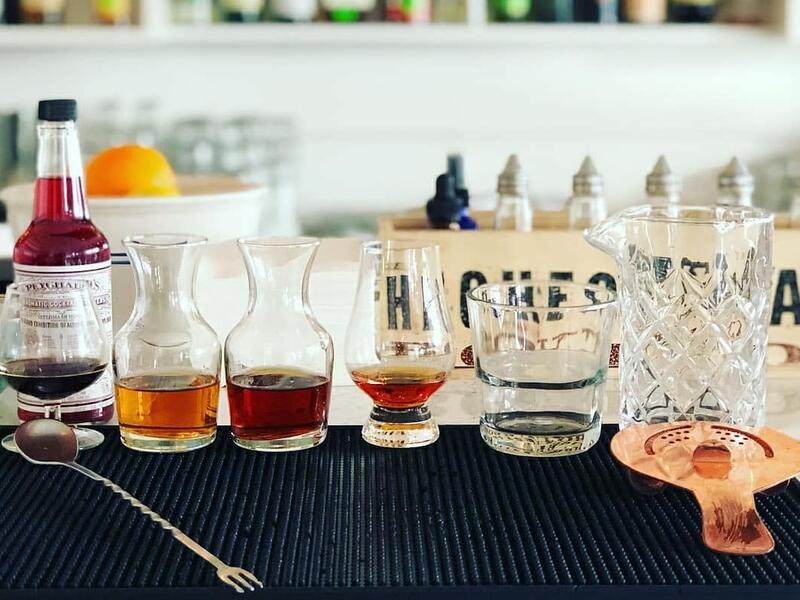 Head to Surf House Oyster Bar + Surf Camp in Carolina Beach to enjoy surf-inspired small batch spirits in signature drinks like "Let&apos;s Make a Fire." These stellar wine lists are a must-do for wine enthusiast travelers. Each has received Wine Spectator magazine&apos;s coveted Award of Excellence based on their extensive and diverse offerings. Local favorite Sweet n Savory Cafe has been honing their wine list for more than six years. 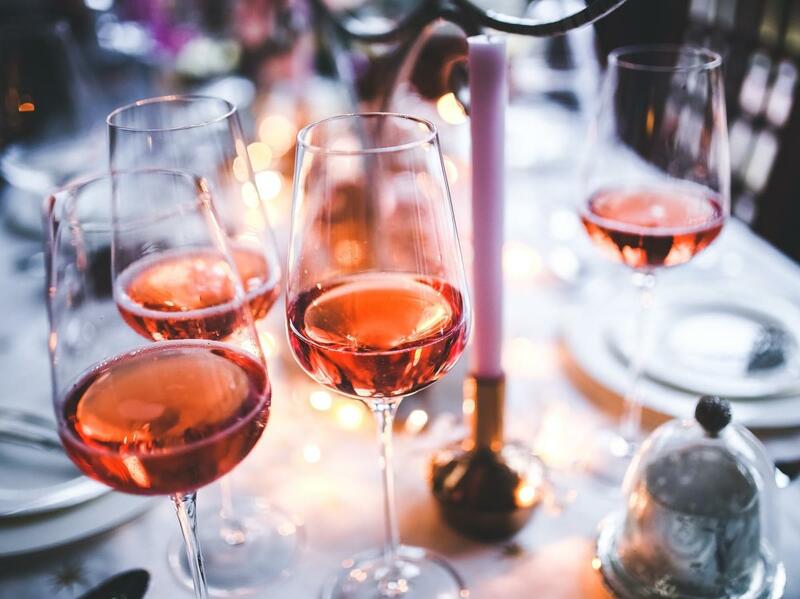 Peruse the ever-growing list of whites, reds, sparkling and roses that perfectly complement a dinner menu full of American favorites. For the adventurous wine lover, visit on Wednesdays for themed wine tastings that have been carefully curated by their wine steward. Grand Cru Food & Wine recently opened and is already racking up accolades. Browse the wine list online before you go to choose from an extensive list of global wines. For dinner and drinks with Cape Fear River views, make a reservation at Ruth&apos;s Chris Steak House. Their wine menu has won the Award of Excellence consistently. Hot sizzling plates, river views and an award-winning wine list set the stage for a perfect date night or special occasion. Some of the best restaurants are the ones you might not find on your own. Hidden gem The Felix Cafe serves American food with tropical flavors in a dining room decked out in island flair. You won&apos;t want to miss their Shrimp-N-Grits, which features bacon-wrapped jumbo shrimp. Winnie&apos;s Tavern claims to serve the best burger in Wilmington. Choose from favorites like the Station Wagon burger or the Carolina Burger and be sure not to pass on a basket of their amazing onion rings. Everything is scratch made at Magnolia Social Cafe, where you&apos;ll want to try the Social Tots—tater tots served with Parmesan cheese and a special barbecue sauce. Something Fishy Seafood Restaurant, a Calabash-style seafood restaurant tucked between a chiropractor and gas station along South College Road, has been a local favorite for years and was recently featured on the Food Network. You&apos;ll find some of the best Baja flavors east of Mexico at kBueno Mexi-Q Grill in The Forum. 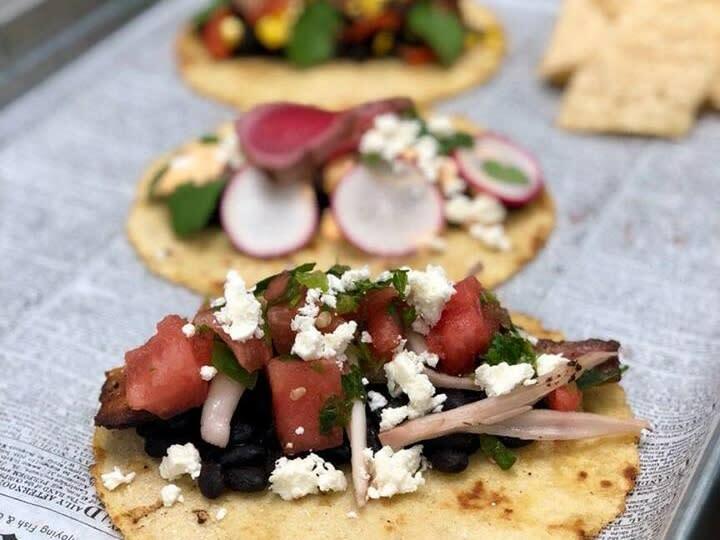 With a slight twist on Tex Mex, including Mexican street corn and barbecued meats, don&apos;t miss their signature drink and food specials on Sangria Sunday or Burrito Wednesday. If you&apos;re looking for an authentic Neopolitan-style pizza, check out Pizzeria Il Forno in Barclay Commons, where you can choose from dozens of delicious pies made with their signature dough and housemade mozzarella. Another can&apos;t-miss Italian restaurant is Osteria Cicchetti at The Forum with specialty dishes like Veal Piccata and Shrimp & Scallop Risotto. It&apos;s well worth the drive to an area known as Porters Neck for a meal at Cape Fear Seafood Company. Start with the Bloody Mary Oysters and be sure not to miss their signature Figure 8 Stuffed Flounder. Still haven&apos;t had your fill of seafood? Check out Boca Bay Seafood Restaurant near Wrightsville Beach for a wide selection of fresh-caught dishes, including one of the area&apos;s best Paella. Stray off the Riverwalk and up the stairs to the Embassy Suites by Hilton Wilmington Riverfront&apos;s Steam Restaurant and Bar. Enjoy Cape Fear River views as you dine on fresh seafood, unique southern sandwiches and house-cut ribeye steaks. Vegan and vegetarian options are available. One of the most romantic restaurants in town—actually, the most romantic restaurant according to OpenTable—Caprice Bistro offers traditional French cuisine, like pâté, escargot and beef bourguignon. Pair with their fantastic wine selection and delicious deserts and you won&apos;t want the meal to end. Brasserie Du Soleil in Lumina Station offers les plats du jour like pork milanese, steak frites and duck confit. Browse an assortment of sweet treats like French chocolates, fresh baked deserts and breads at Far From France in Barclay Commons, where you can also enjoy High Tea Tuesday through Sunday. If you&apos;re looking for an authentic French crêperie, visit Our Crêpes & More and try one of their signature savory crêpes like the forestiere royale with cheese, bacon, chicken, mushrooms and onions, topped with a dash of whipped cream. There are plenty of Wilmington restaurants fit for the adventurous foodie. Platypus and Gnome is a delicious place to step outside of your comfort zone with exotic dishes like wild boar soup, curried lamb poutine or ostrich sliders. 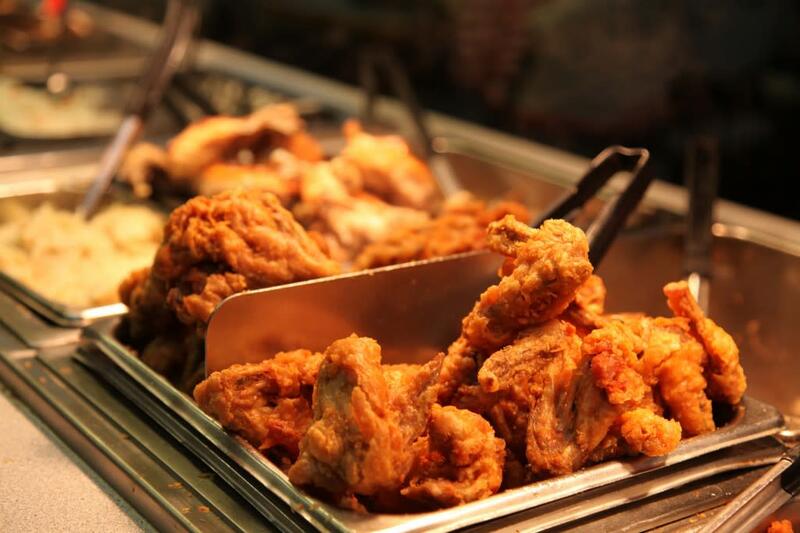 Casey’s Buffet is a Wilmington classic and smorgasbord of soul food flavors. Load up your plate and help yourself to all you can eat pig feet, fat back and more. 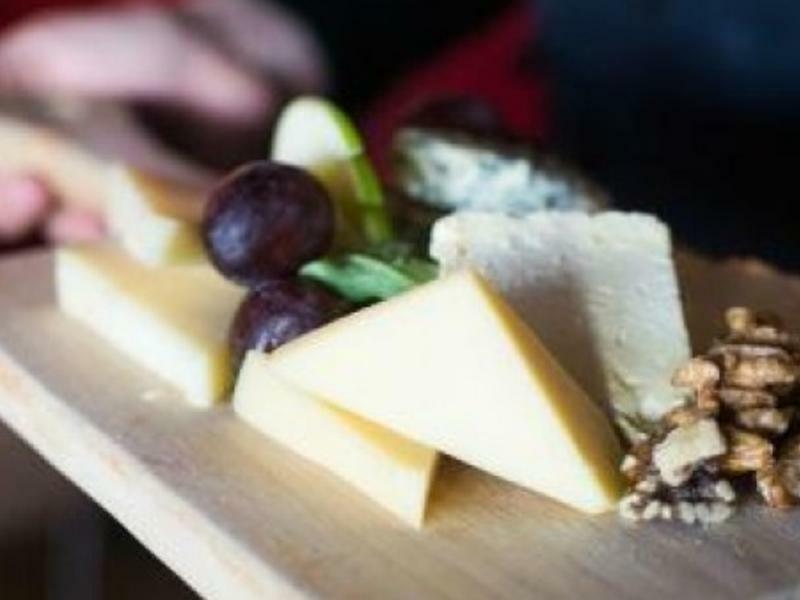 From smoked pure duck sausage, English barbers 1833 reserve cheddar or a pate’ plate, Fortunate Glass Wine Bar offers a worldly selection of charcuterie and small plates to accompany your vino. Genki Japanese Restaurant is a haven for those bold enough to try traditional Japanese dishes like sea urchin, quail egg, conch and mochi. Take a mini Eurotrip at The German Café with potato pancakes, an assortment of schnitzel and rouladen - rolls of meat, fish or cabbage leaves served with dumplings. 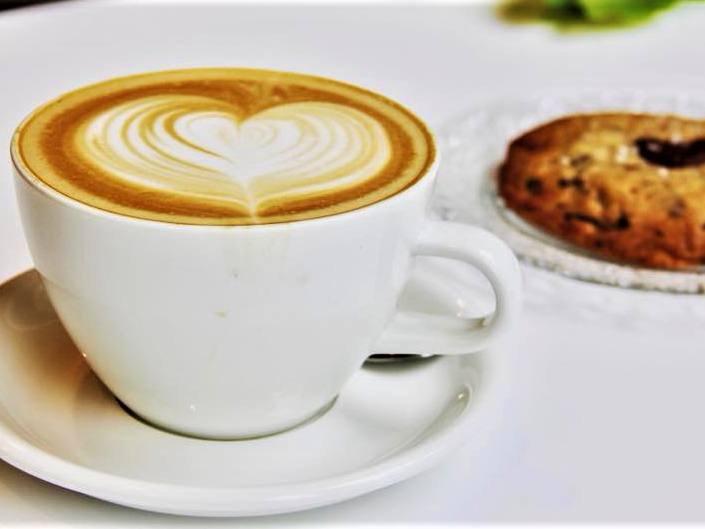 Start your day with a piping hot cup of Joe and a savory or sweet breakfast. Pastry chef Lydia Clopton brings her talents to her café and bakery, Love, Lydia. The Southerly Biscuit and Pie is a must-try in Carolina Beach with perfectly southern, handmade biscuits, breakfast bowls, or daily made pies and confections. Fitting in with the quirky charm of the Castle Street Arts and Antique District is Rolled & Baked: Biscuits for the Bold. Bravo&apos;s "Top Chef" contestant Micah Edelstein creates elevated biscuits “for the bold” with locally-sourced ingredients and some of the best lox you’ll find outside of New York City. Cast Iron Kitchen has received an Encore "Best of Award" two years in a row. The Dirty South Biscuit is a true showstopper but keep your eyes peeled for daily specials.“Wilmington’s Dining Room,” Dixie Grill, is a must-visit. First opened in 1903, each meal is served with a side of history. The Basics in downtown Wilmington is known for their regional brunch offerings, like shrimp and grits, fried chicken biscuits and their unique southern benedict. RX Restaurant & Bar elevates the brunch game while Goody-Goody Omelet House has long been a local favorite. Wake n Bake Donuts have garnered a cult-like following with their fun, unconventional toppings. Indulge in a farm-to-table experience with menus that change daily based on locally sourced, seasonal ingredients from the region's farmers and fishermen. Take a riverfront or beach-based walking tour of culinary hot spots or attend one of our area's most delicious and delectable events. 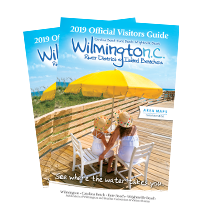 Wilmington was voted #1 Best Al Fresco Dining Neighborhood, while several local eateries have accolades ranging from Best Burrito to Favorite Seafood Dive.